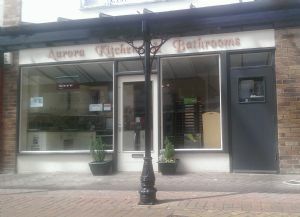 Aurora Kitchens & Bathrooms Ltd.
As we are a family business we do understand that not everyone can get to the showroom within these hours. If you would like to arrange a visit to the showroom outside of these hours please feel free to give me a call and I can open the showroom up to meet up with you. We are a family business and we offer a tailored design and installation service for our quality bespoke kitchen cabinets, appliances, bathrooms suites, and all the components needed for your dream kitchen & bathroom projects. All projects are carried out by our own specialist team, from start to premium completion with minimal disruption to your household. With all furniture being built to our own specifications the possibilities are endless. 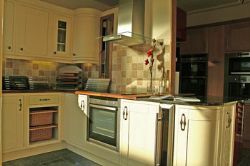 Start you journey to a new kitchen and/or bathroom safe in the knowledge that we can take care of everything for you. With a showroom in North Wales, and a great network of delighted customers, our business has grown to include a supply only service for our fine bespoke kitchens, and we are now expanding to include an on-line aspect to our business. We are always available to discuss your requirements to ensure you get the best possible results from your project.